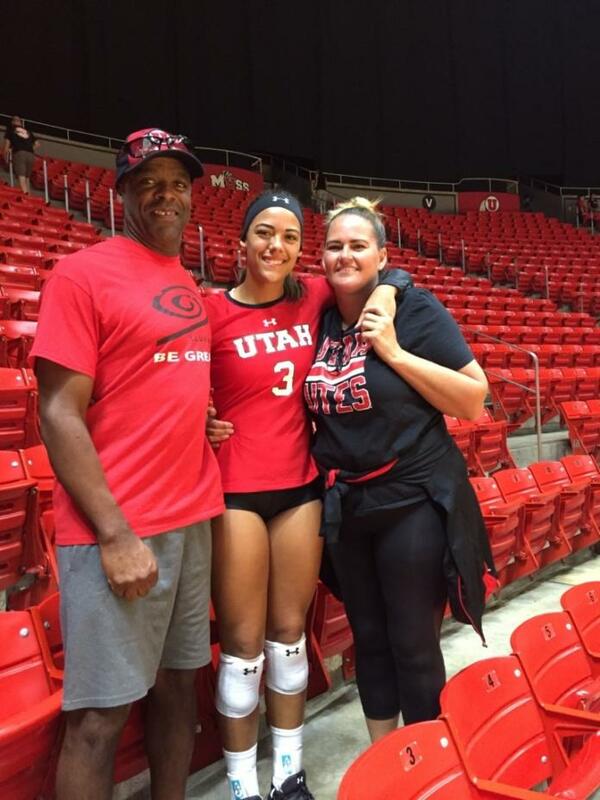 Not every athlete comes from an athletic family background where children call their parents ìcoach.î For University of Utah volleyball player Torre Glasker, this feeling is all too familiar. With such athletically involved parents, Glasker and her siblings all played sports as kids. Glasker was coached in two different sports by her mother and father, and she went on to become a two-sport athlete in high school. She excelled not only on the volleyball court, but also on the softball field. Glasker wasn’t learning how to compete from just anybody. Her mom, Melissa, was a volleyball player at BYU, and her dad, Stephen, also a former Cougar, played college baseball. Stephen was also selected in an MLB draft by the Texas Rangers organization, and he competed in that system for six years as an outfielder. Glasker was able to show off what her parents taught her when she attended Bingham High School. Her mom was her volleyball coach and her dad taught her softball. Although Stephen wanted Glasker to pursure softball, he was always supportive of her volleyball career growing up. While it wasn’t always smooth sailing to have her parents as her coaches, Glasker is thankful for the opportunities she had to learn from them as a player. Glasker learned irreplaceable lessons from her parents, like the importance of appreciating the game and being grateful for the chance to play, and she is even following their footsteps. When Glasker isn’t on the floor representing the Utes, she is coaching volleyball, just like her mom. She hopes to be able to pursue coaching one day because she likes the unique perspective and experience it gives her. A love of sports has drawn Glasker closer to her parents. With constant encouragement, support, knowledge and a love of athletics, Glasker’s parents raised her in an environment that prepared her for success. This year, Glasker is hoping she can continue to put her parentsí teachings into practice by putting in work on the court. 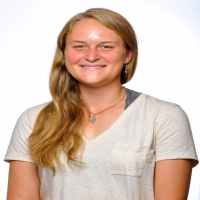 Now in her second season as a collegiate athlete, she wants to play the best she can and build on her results from last year. No longer her coaches, Glasker’s parents have found other ways to support and encourage their daughter. “I just want to try and help her enjoy the experience, be completely supportive of her process and for her, be grateful for all of the opportunities that she has,” Melissa said.